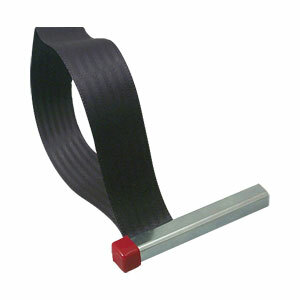 The Lisle 63500 Strap Wrench adjusts quickly to remove any spin-on oil or fuel filters up to 6" in diameter. The belt is made of nylon for strength. Use with 1/2" drive or 3/4" wrench. If you have a '13 or newer Ram Cummins truck, this is the tool you need due to lack of clearance beneath the oil filter. It works... I prefer other tools for filter removal but I was able to get the oil filter off my 2015 with the 6.7. Just remember that if you're looking at it from the top of the engine it needs to spin clockwise to loosen. Counter-clockwise works if you're under the engine. Oh and FYI the red rubber cap will most likely fall off, mine did, so you might want to take it off unless you plan on removing the engine to retrieve it ;).